Club Penguin – Medieval Party Video Sneak Peek! 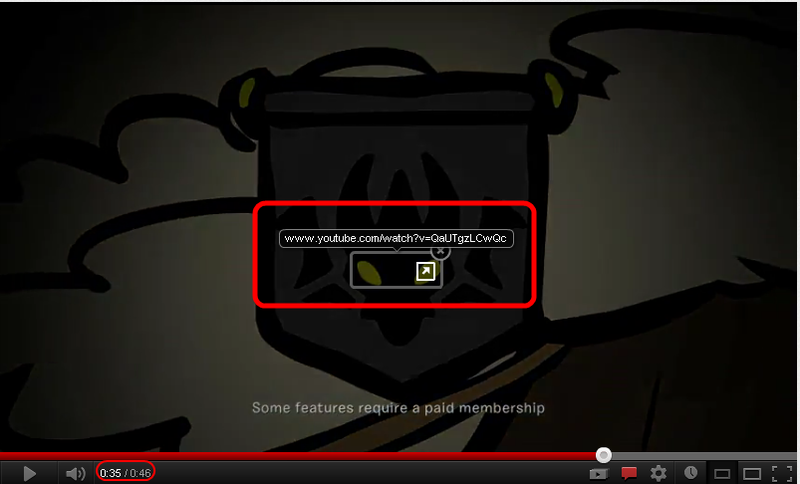 And here’s a way to find the secret video in the original sneak peek video. NOTE: You must have annotations switched on! Medieval Party 2012 Sneak Peek – Clue#3! Medieval Party 2012 Sneak Peek – Clue#2! 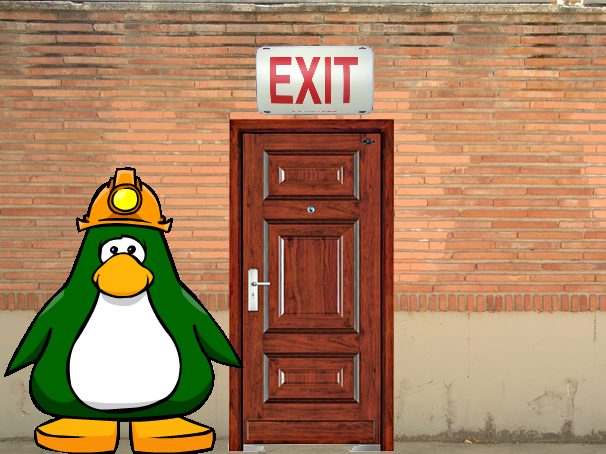 Hey penguins!Guess what?I just found another clue about the Medieval Party coming exactly in a week on Club Penguin!Wanna check it out?No problem,just go down. Tell me what you think about all of this,okay?I think it’s getting even cooler as time passes to the Medieval Party. Medieval Party 2012 Sneak Peek – Clue#1! Medieval Party 2012 Sneak Peek! Hey penguins!I just found this cool sneak peek of the Medieval Party on the net!It’s pretty cool – you should check it out.It seems to be something like a puzzle or more specifically scavenger hunt(with a prize probably,too). Hello there penguins!It’s Green again – speaking of the CP Movie coming out this month.I am currently still working on the recording and the recording sessions will end by May 12(hopefully).I will be editing the movie until the May 20 and it will be released(sadly,for some of you)at the end of this month – somewhere about May 23 or May 25 – May 28.I’m not sure but I will give out stuff until then about it. There will also be shorts produced before its release.One of them was ”Cinco de Mayo Day 2012”,if you haven’t noticed yet.And there will be atleast 1 more – probably about the upcoming Medieval Party and also atleast a 2nd random one,too. But enought on that…let’s get on the movie.I know many of you were probably a little mad over the fact that I didn’t give out almost anything in the last(1st)part of the sneak peeks.And judging by the fact it was posted over a week ago I can predict some of you were pretty much feeling dissapointed.But don’t worry – now I will give out a bit more about the movie! 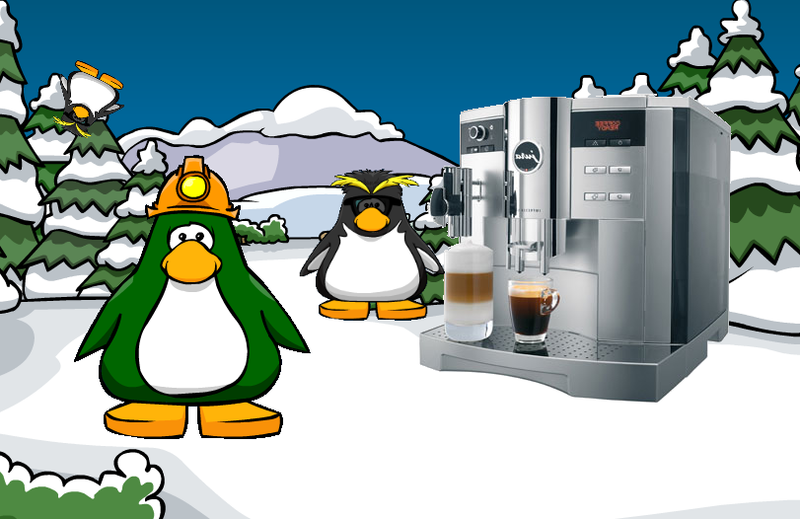 Now…you’re probably all thinking: ”Seriously?Just a penguin with a lame mining helmet! ?What’s wrong with that?And he’s just standing at those pictures and looking away at nothing!…”or something like that. It will be a somewhat-comedy movie but more of an action-one.It will start off as one thing but things will get carried away in it and the main starting character will get to the place where he never expected.There will be bad guys on his way,too – but he will defeat them!It will end like a fairy-tale with a good but somewhat-stupid for some people end but it will be cool…It will have a second part,of course! 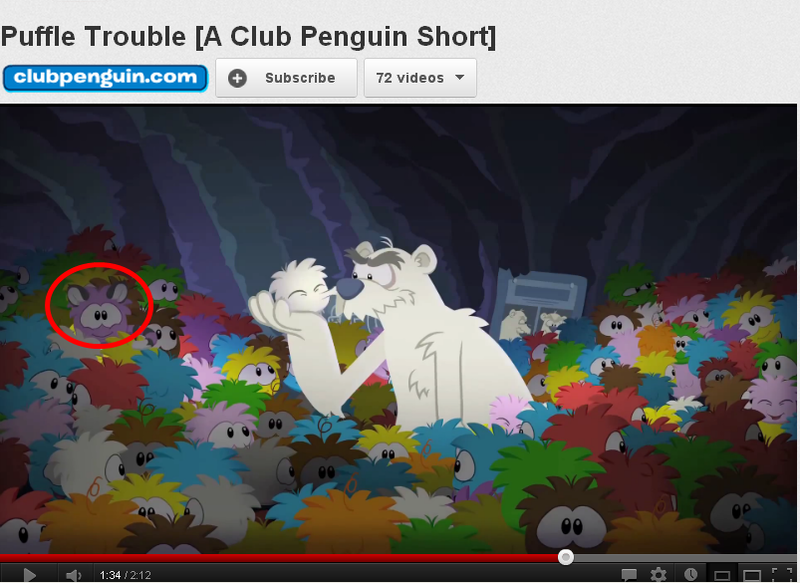 Club Penguin – Cat Puffle Spotted in Video? Hey guys!I got some cool news!Club Penguin released the short ”Puffle Trouble” 4 days ago – on May 2.But anyways,while I was checking it out today I suddenly paused accidentally and saw a unique puffle in the video. Pause at exactly ”1:34” and you will notice a puffle with a tail and ears.